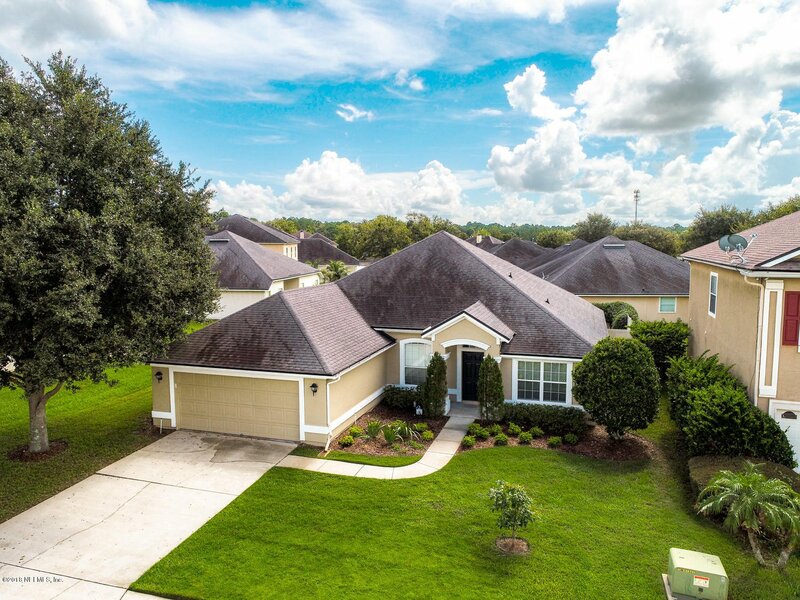 Check out this 4 bedroom in the heart of Oakleaf Plantation! Great place to raise a family! Fenced yard, screened lanai, open floorplan, kitchen overlooks large gathering room! Formal dining room could be used for flex room if you don't need it for 2nd table (has doors), otherwise eat in space in fully equipped kitchen w/food prep island! Split floorplan and hallway has work center for desk/kid's homework area! Indoor laundry area, 2 car garage, sprinkler sys, sec sys, wall to wall carpet in the bedrooms, seller has painted concrete floor in family room - easily can be recarpeted, tiled or install wood. Only a few homes on this street & close by shopping, retail, Costco, community amenities, NAS Jax, Cecil Field, JIA & dining! Don't let this well priced one slip away!